The security forces used live ammunition to disperse thousands of protesters in the vicinity of the Army Command Headquarters, resulting in the deaths and injuries among the demonstrators and the army. 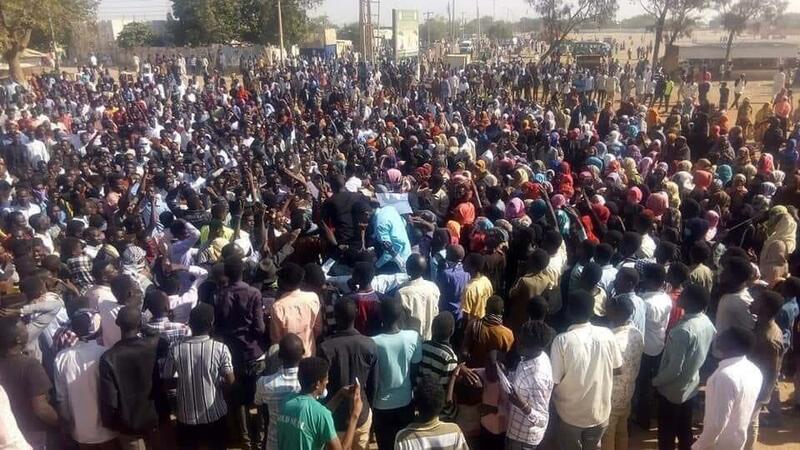 According to (Sudan Tribune, this morning, 9/4/2019), forces likely linked to security forces, on board about 14 pickup trucks, returned at 10 am, in a fourth attempt to forcibly remove demonstrators, and began shooting indiscriminately. They also threw bombs and tear gas, but elements of the army confronted them and forced them to retreat. This regime continues in its arrogance, shedding prohibited blood and killing sacred lives of the people of this country who demand their legitimate rights in a just government and a decent life. These are the rulers of this time who rule us with iron, fire, injustice and impoverishment, or kill us in cold blood, with the sanctity of murder and the greatness of its sin. Next PostAmerica is Not a Political Warrant, but the Source of Savagery and Massacre!